As soon as we returned to the “Lower 48” from our trip to Alaska we had to fly back to Michigan for doctor appointments and to visit family. We set up at the Camp Murray Beach Campground. This is a small campground operated by the Washington National Guard Association. 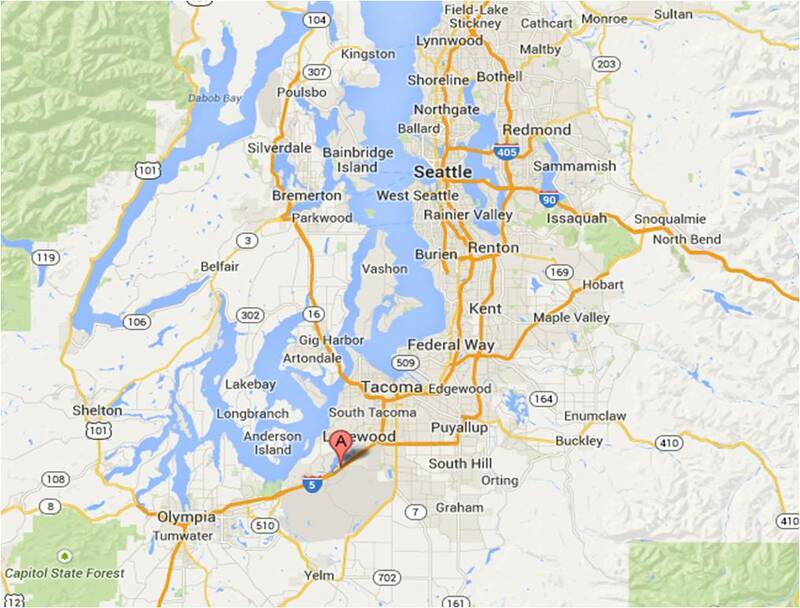 It is right on the shore of American Lake, across I-5 from Joint Base Lewis-McChord (JBLM). Our campsite was right on the shore with a great view. The site came with unexpected benefits. 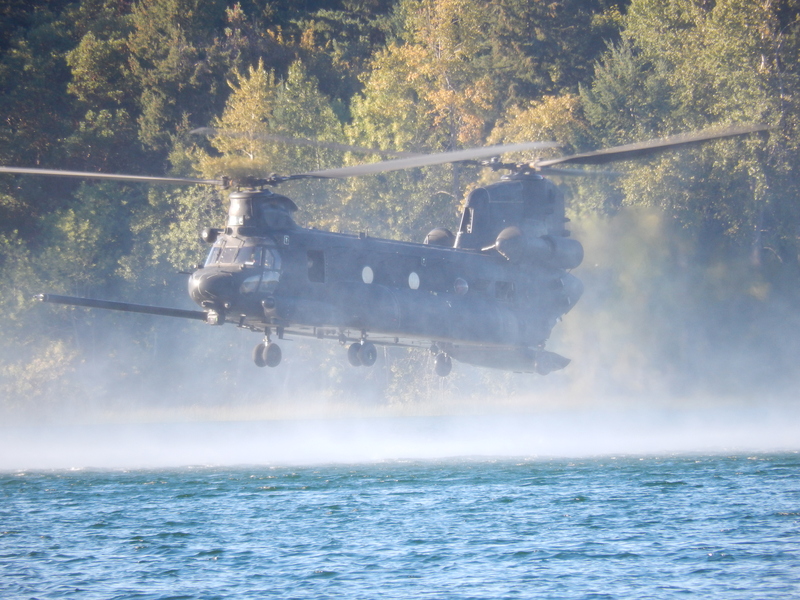 One day we had some soldiers from either the 2nd Ranger Battalion or the 1st Special Forces Group (Abn) practice helocasting on American Lake right in front of us. Several of us wanted to go out and join the fun! While we were in Alaska we got the word that our oldest son had gotten a new job at JBLM and would be moving to the area in early September. Consequently we decided we were going to stay in the area longer than we originally planned. On September 6th we heard a knock on our trailer door and were created with hugs from our granddaughters – the fun had just begun. While Scott and Sandra unpacked we took care of the girls. Over the next week we had the girls stay with us several nights while Scott started the new job and they began to look for a new house. There was a small channel of water between the campground shore and a nearby island. This made a great place for swimming and kayaking. 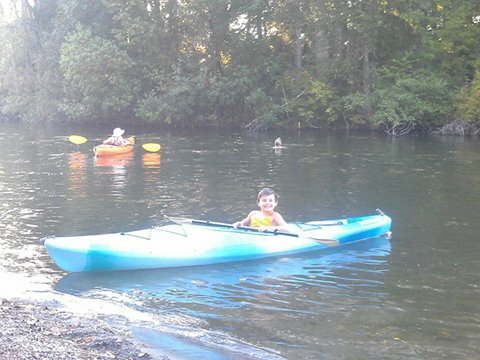 Katrina was already pretty good in a kayak and now Sierra and Clarissa had a chance to learn how to paddle. The small channel was the perfect place for them to practice their new skill. 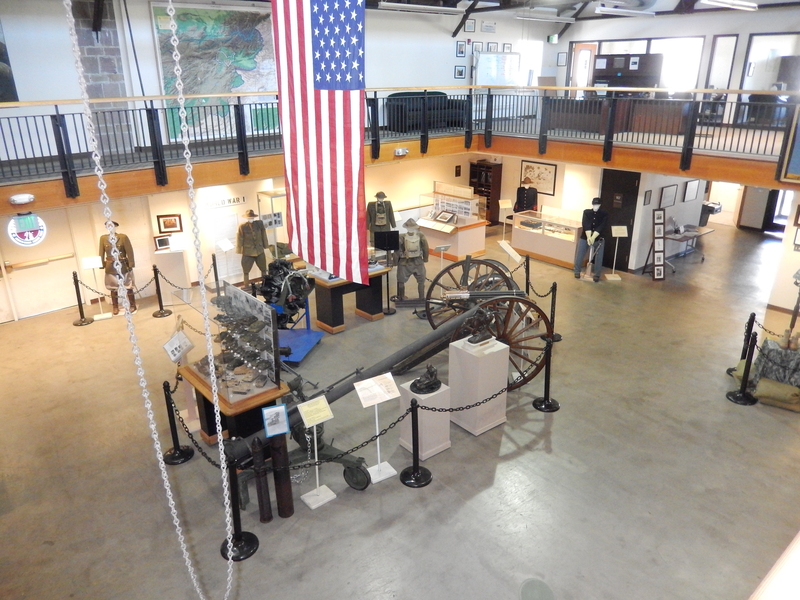 One day I toured the small museum at Camp Murray. It was very interesting to discover there was no process to call the National Guard to federal service, so Washington National Guardsmen resigned and were immediately reformed as the 1st Washington Volunteers for employment in the Philippine Insurrection in 1900. The displays of the mobilization of the Guard for WWII brought back memories of my own mobilization for Desert Shield. During the week, while the girls were in school, Pat and I practiced the fine art of doing nothing. After a very busy two months traveling through Western Canada and Alaska, it felt good to just kick back and take it easy. Of course I couldn’t take it too easy. 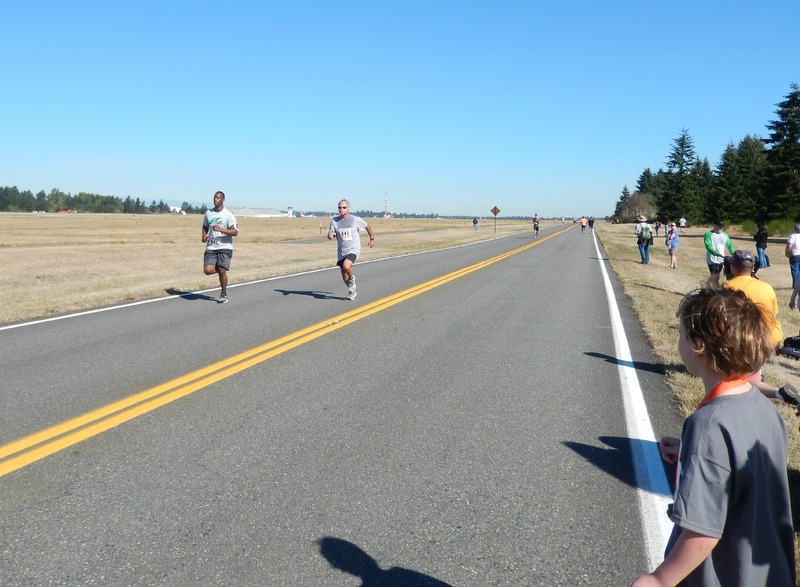 I signed up for a 5K run at JBLM, the Salmon Run. Katrina and Sierra ran in the Kids Fun Run, the Chum Run. I felt good about my performance. I managed to finish second in my age group and 37th in a field of 179 runners. 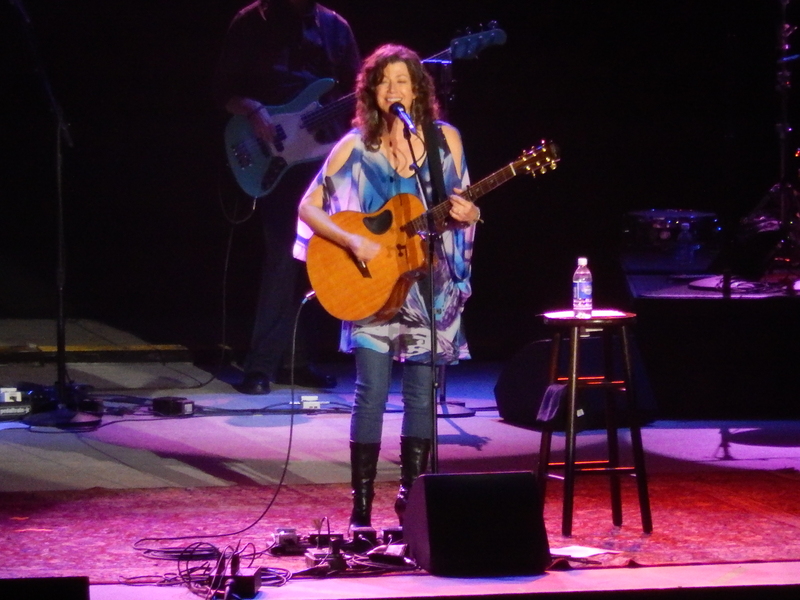 We attended the Washington State Fair while we were there and we enjoyed a concert featuring Amy Grant and Michael W. Smith. 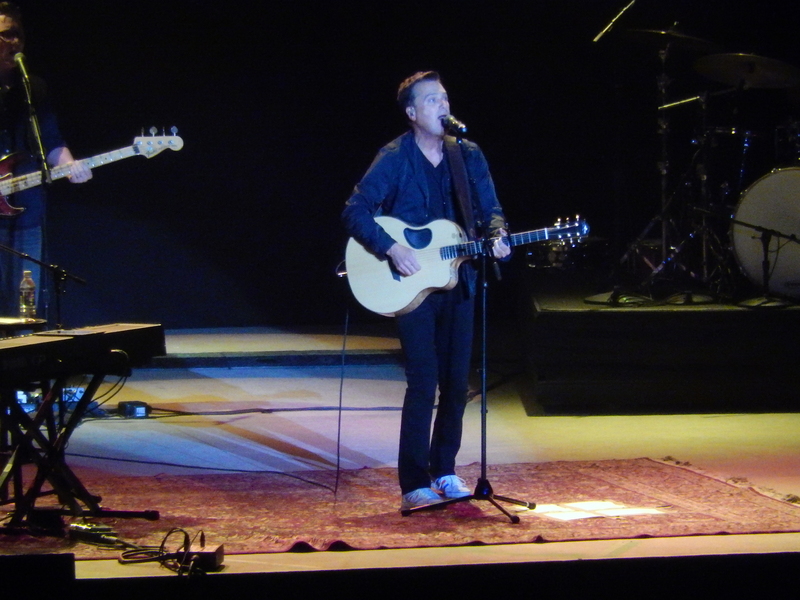 We’ve listened to them in the past, but they were better in person. 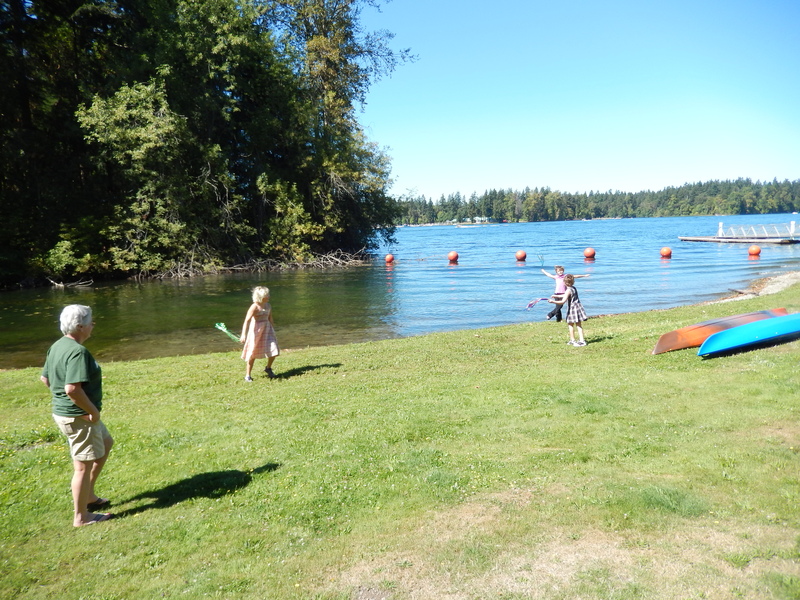 We were able to have the girls stay with us in the trailer each weekend and we had a wonderful time swimming and kayaking. They helped Pat prepare meals and enjoyed themselves making airplanes from a book of paper airplanes. Sunday, September 21st we packed up to travel around the area. Our first stop is Grayland Beach State Park, right on the coast of the Pacific Ocean. 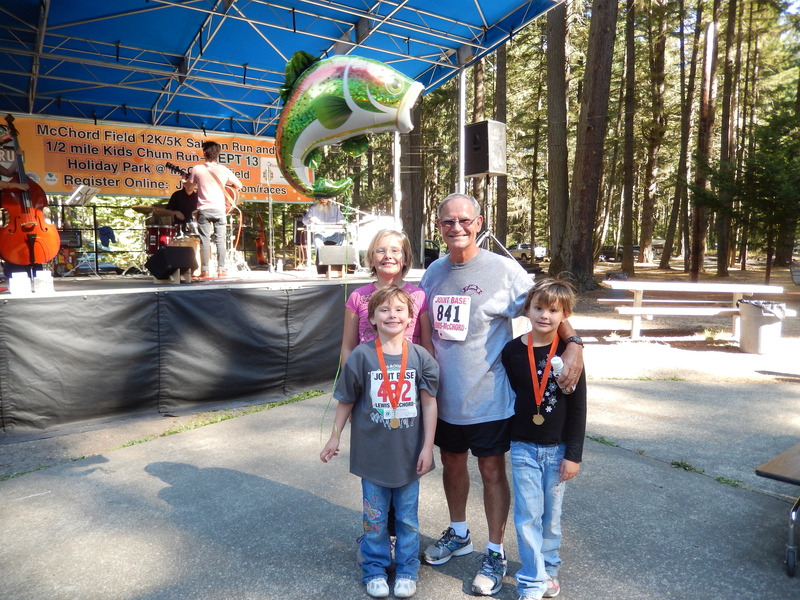 This entry was posted in Fulltime RV, Michigan Traveler, Military RV Parks, National Guard, Washington and tagged fifth wheel trailer, full-time RV, fulltime RV, JBLM, Kayaking, RV Forums, Salmon Run. Bookmark the permalink. I came across your site via, ah heck I can’t remember but just wanted to say hello to a fellow Carriage owner. I have an ’09 Cameo 35SB3. I’m “Zman” over on carriage-lifestyle-owners forum. I reside in Oregon, former USNavy and combat veteran (Desert Shield/Desert Storm) not yet a full-timer and still workin for corporate America. By the likes of your website you certainly appear to be livin the dream! Glad to hear from another Desert Shield/Storm vet. I was in the 101st Corps Support Group. Stay in touch!